The grand opening of The Normans is just under two months away, but our wedding venue is already being featured in some of Yorkshire's top wedding magazines! We hope that the four-page spread will give you an idea of what to expect from our stunning new wedding venue, which combines rustic features with innovative design: just the spot for a truly unique wedding. 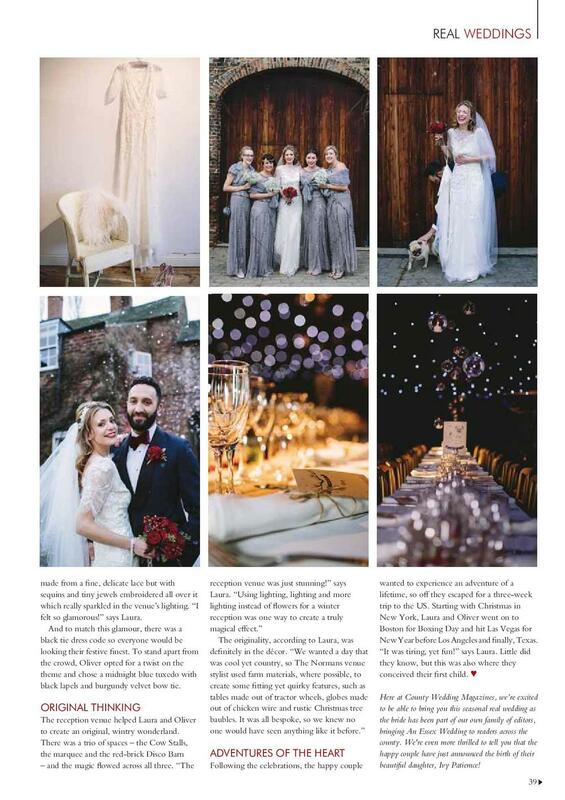 A month later, The Normans Weddings & Events found its way into Yorkshire Bride magazine, an annual publication chock-full of the best wedding venues and suppliers in the county for Yorkshire's brides-to-be. Just off The Courtyard you can step into our amazing atrium-roofed marquee - at 12m x 21m there's room enough for dining, drinking and dancing, whatever the size of your guest list. To the south of The Courtyard you can tie the knot in our rustic barn, while to the west are the quirky Cow Stalls that make for the ultimate country-cool snug!